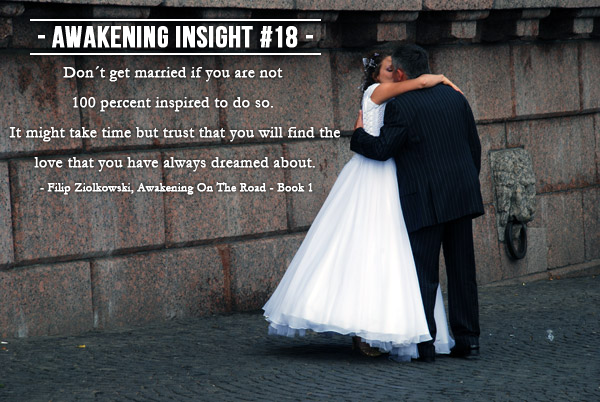 AWAKENING INSIGHT #18 Don´t get married if you are not 100 percent inspired to do so. It might take time but trust that you will find the love that you have always dreamed about. 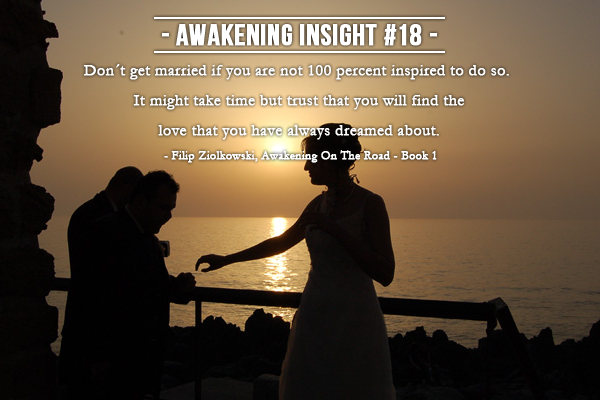 Don´t get married if you are not 100 percent inspired to do so. It might take time but trust that you will find the love that you have always dreamed about.